PT Tech's HPTO21 with its Power Tower pump drive is available for both inline and belt driven applications. In addition, the HPTO21 comes with PT Tech's newest controller the Advanced 3. 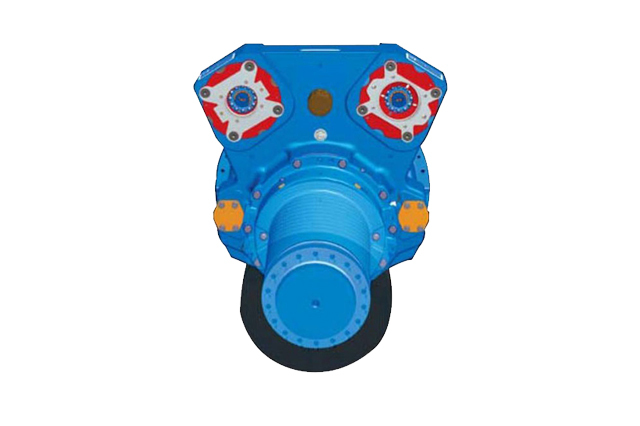 Together they provide the best and strongest clutch package available for diesel engines up to 1600hp. The Power Tower provides 4 pump pads with a combined 425 horsepower capacity. The HPTO microprocessor-based clutch controller eliminates the typical service problems that are associated with operator abuse. The patented start-up sequence brings the driven load smoothly up to engine speed automatically compensating for the power required, optimizing peak engine torque. This means the HPTO21 can start equipment with significant inertia or even under partially jammed conditions. The HPTO21 package increases equipment reliability and profitability by preventing operator abuse. The controller is also SAE J1939 capable allowing it to connect into the machine's CAN BUS system. Compact design-Overall length is 35.75 in.